How long does it take to do a video survey? What is the acceptance rate of customers with video surveys? Customers generally accept virtual surveys overall. We have about a 95% acceptance rate for those customers that are offered the service. Common reasons for non-acceptance are if the customer has an incompatible phone (such as a flip phone or blackberry), has an exorbitant amount of items to crate or prefers an onsite survey. Can I change your Surveyor Script? Yes you can. We encourage our clients to brand our surveyor script to your company’s style. Reach out to your Account Manager for assistance on completing a customized surveyor script. How long does it take to get the inventory sheet and survey returned to me? 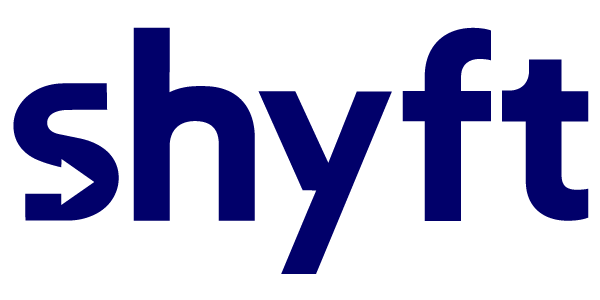 shyft completes the inventory sheet within 4 hours from completion of the video survey. You will receive an email alert with “Cube Sheet Ready” as the subject line and which contains a link to the survey file. Once you are in the survey file, click on the ‘Report’ button under the ‘Inventory’ section, and download your cube sheet in your preferred format. Can I share the video survey with another agent, my driver or my customer? Yes, you can. A user account will need to be created for each agent or staff member that requires access to a Move File: please reach out to your Account Manager to get them setup. Alternatively, if the file has a Cube Sheet completed, you can use the “Share” button in the “Inventory” tab to share the file (this will also prompt them to create a user account). Please note: when you share a Move File, you will be sharing the entire customer file - all survey notes, videos, customer details etc. We highly recommend only sharing a file with team members who will be working on the move, and not with your end customer. If you need to share a video with a customer, please reach out to support@shyftmoving.com so that they can provide you with a video download link that you can pass on to your customer. If you wish to only share a Cube Sheet, click on the “Share” button in the “Inventory” section, switch to the “send hard copy” option and input the appropriate contact details - a pdf version of the cube sheet will be sent and no access to the Move File will be granted. If you have any questions, please reach out to your Account Manager or support@shyftmoving.com. What is the accuracy of the shyft cube sheet? Within 10% variance of the actual volume. We encourage you to send us actual values so that we can monitor this metric with you. Does shyft guarantee their accuracy? Yes we do. shyft can set up a ‘Challenge’ Standard Operating Procedure (SOP) for your company to handle challenges on loading day. Please email your Account Manager for details. What kind of device does the customer need to do a survey? Any iOS device (iPhone, iPad, or iPod Touch) with iOS 10 or later, or, any Android device with Android OS 4.1 or later (any phones from mid-2012 should work fine). Windows phones are not compatible with the SurveyBot app, however, any Windows device that supports the Google Chrome app should work. Can more than one person join the video survey? Yes. If your customer is already at the destination, a friend/real-estate agent/spouse can be at the origin address to perform the survey and the customer can join the survey as well. All participants will be sent the link to join. The videos are stored with Amazon S3 Services. For more information, click here. Can we delete the video upon the customer’s request if necessary? Yes, we can delete any customer’s video upon request of our client. Please reach out to your Account Manager or support@shyftmoving.com for assistance. We encourage you to keep the video on file until after the customer’s relocation is complete including the claims process.